The Troublemaker — Syrah, Grenache, Mourvedre, Petite Sirah and Zin are blended from several different vintages to create a big, rich red tasting of black cherry, raspberry, and vanilla with a slightly smoky finish. Klinkerbrick Brick Mason – This blend of Zin, Syrah, Cab and Petite Sirah results in deep red and black fruit flavours with toasty vanilla notes and a touch of pepper. 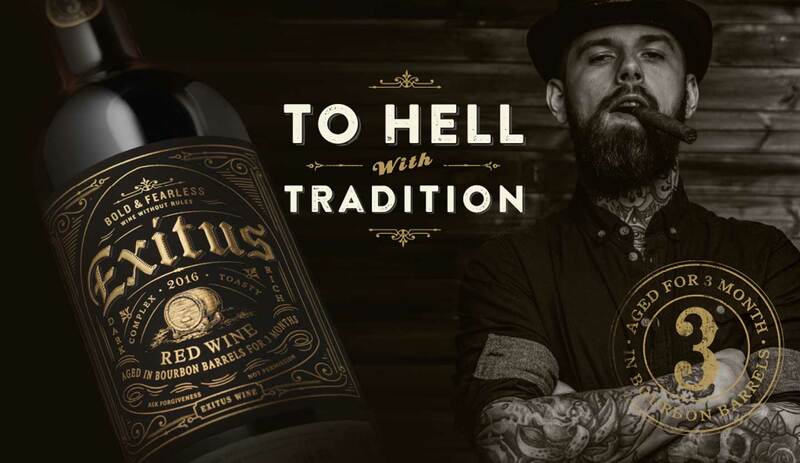 Exitus Bourbon Barrel Red – This company’s motto “To hell with tradition!” sums up this unique blend of Zin, Petit Verdot and Cab aged in Kentucky Bourbon barrels to offer bold flavours of blackberry, dark chocolate, caramel and a touch of leather, tobacco and, of course, bourbon.